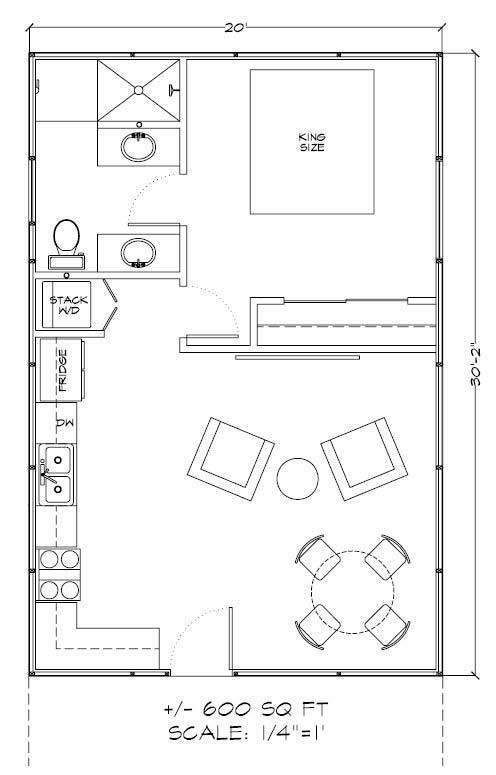 Is maximizing a small space important in the structure you want to build? 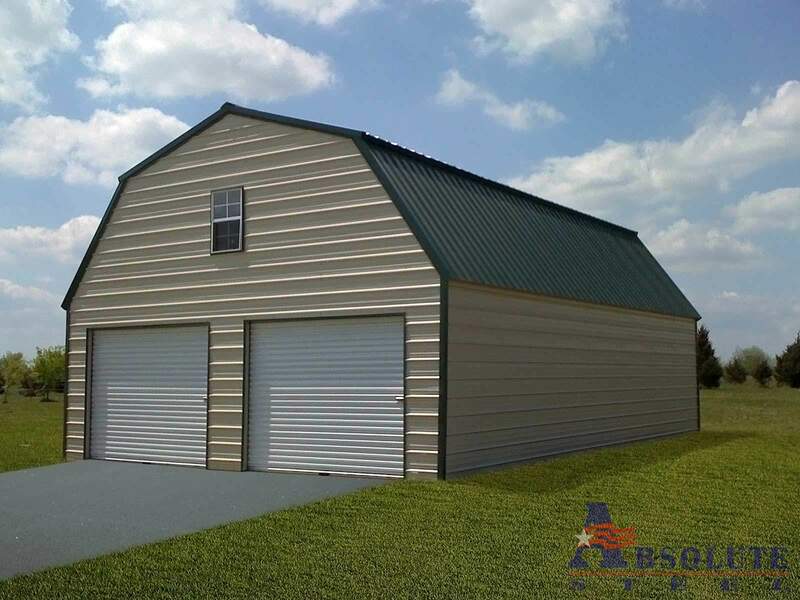 Are you a fan of traditional, barn-style designs? 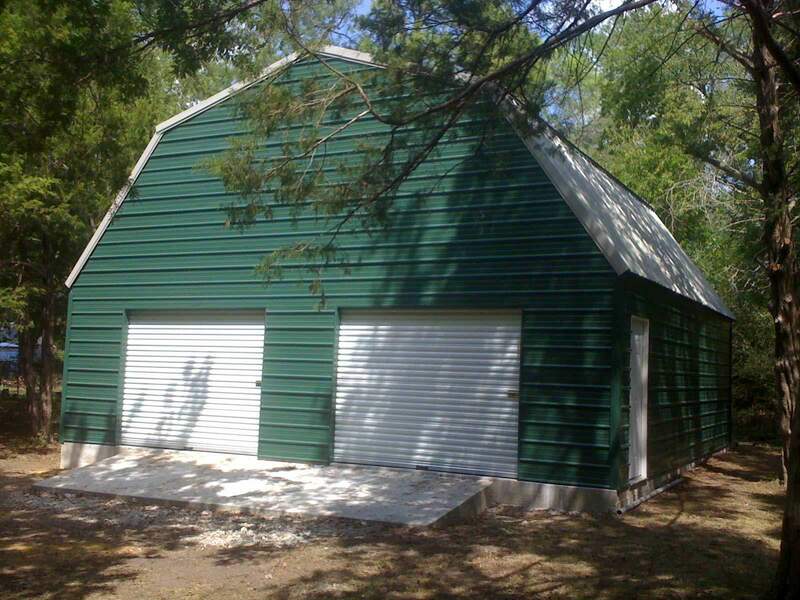 It could be the gambrel barn is what you’re looking for. It’s all in the roof. Called Gambrel, Dutch Hip or Dutch Gambrel, it has a practical design that has been popular for centuries. The roof slopes on both sides, with the upper slope at less of an angle or “pitch” than the lower slope. 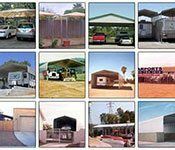 This gives you all of the benefits of a sloped roof while making the most of interior headroom. 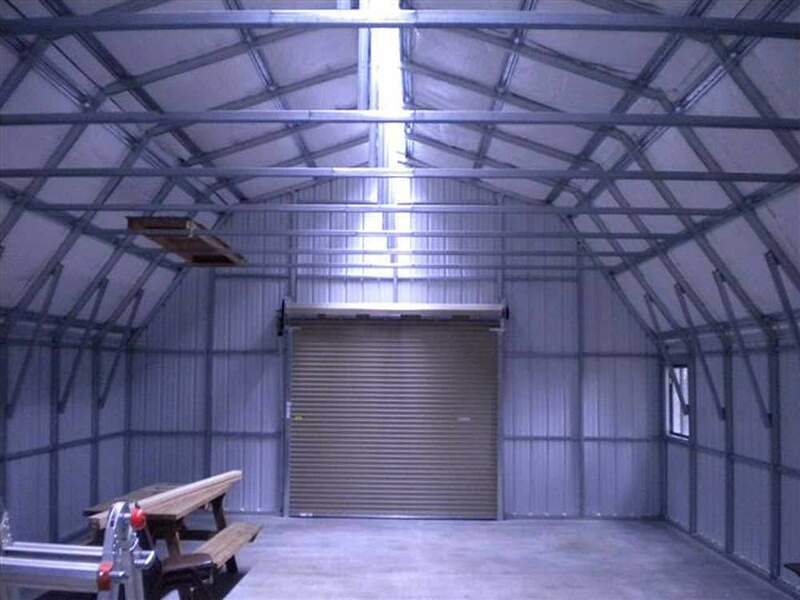 If you are putting together a cabin, guesthouse or storage building, the gambrel will make it appear that it is roomier, due to ceiling height, and it can provide the space to make a loft. 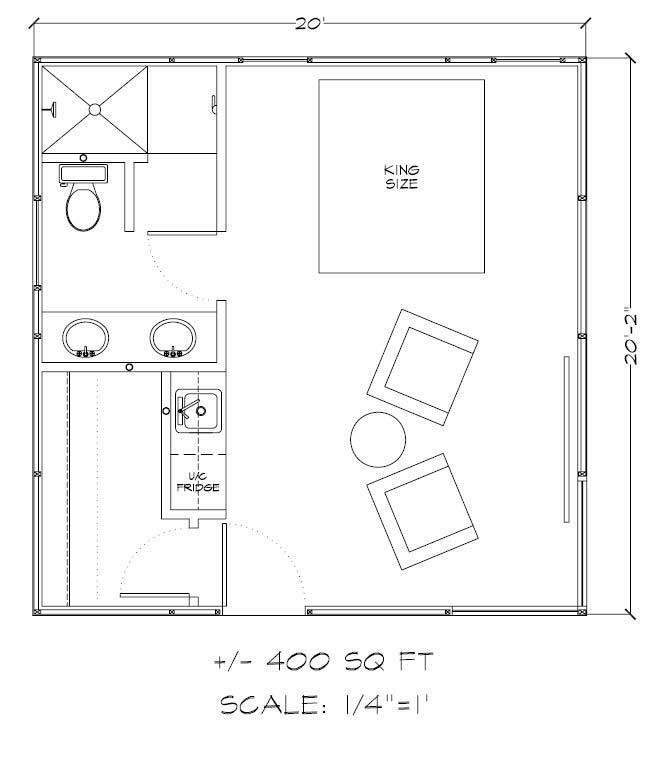 This is as close as we come to a two-story unit. 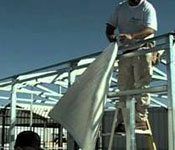 Our prices do not include the steel framing needed to create an upper deck but they can, just speak to your Absolute Steel representative about that. The slope also sheds snow with ease. This makes it ideal for most any winter weather. If you use it other seasons, you’ll know your roof is safe even if you aren’t there to monitor snow on the roof. 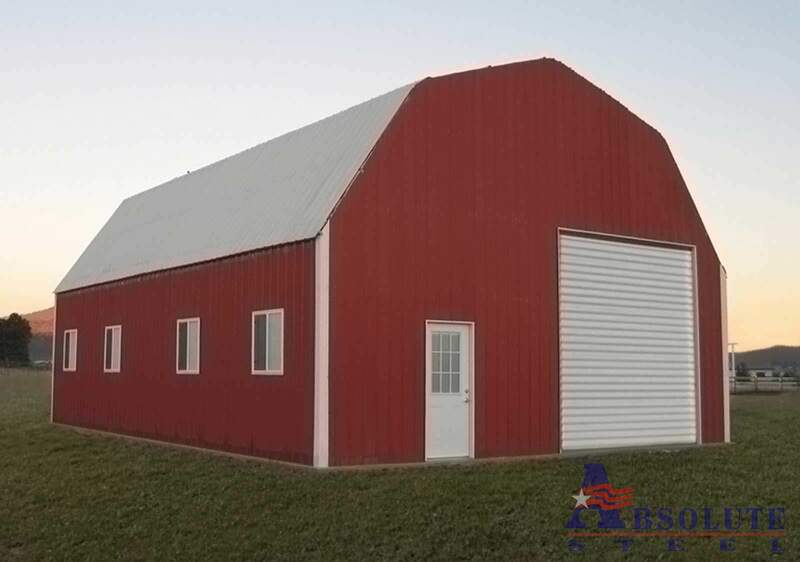 Though the look is often associated with barns, gambrel roofs have long been used on homes, schools and other structures. In fact, the first Harvard Hall, built in 1677, at Harvard University had a gambrel roof. The design uses a style popular in Southeast Asia. Mariners in the 1600s brought the look to Europe and the Americas. 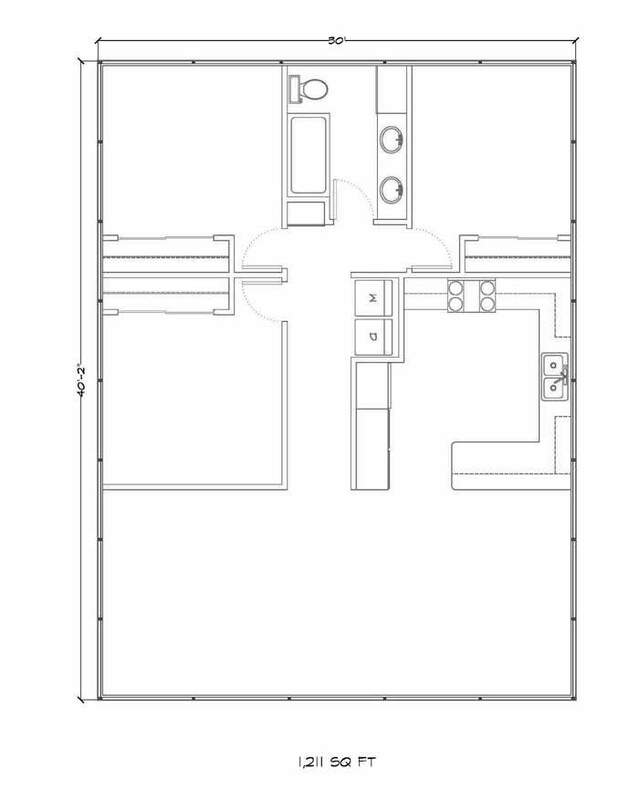 Colonists adapted the style to fit local conditions, including using it for barns. 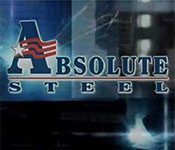 Absolute Steel manufactures each style of building we offer in 4500 different standard sizes. That’s right—4500; it pays to deal with the source manufacturer. 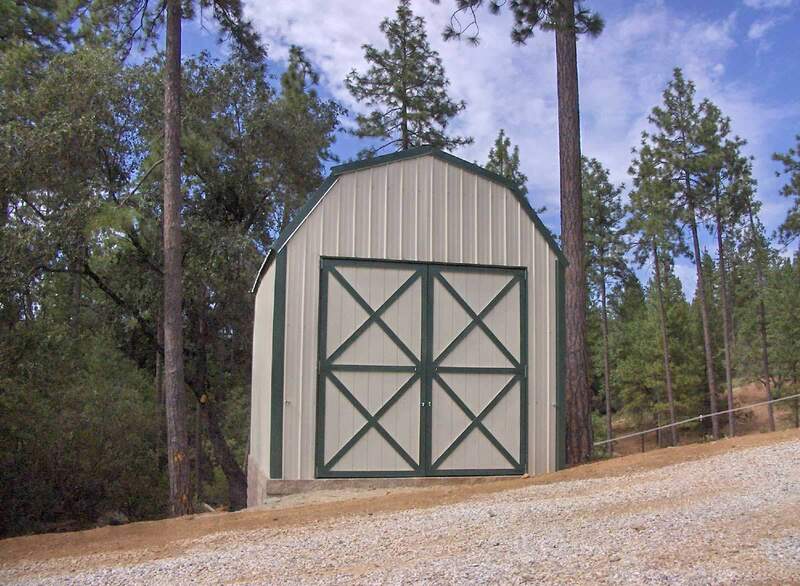 The gambrel is offered in two styles: the Mohave and Sierra style. 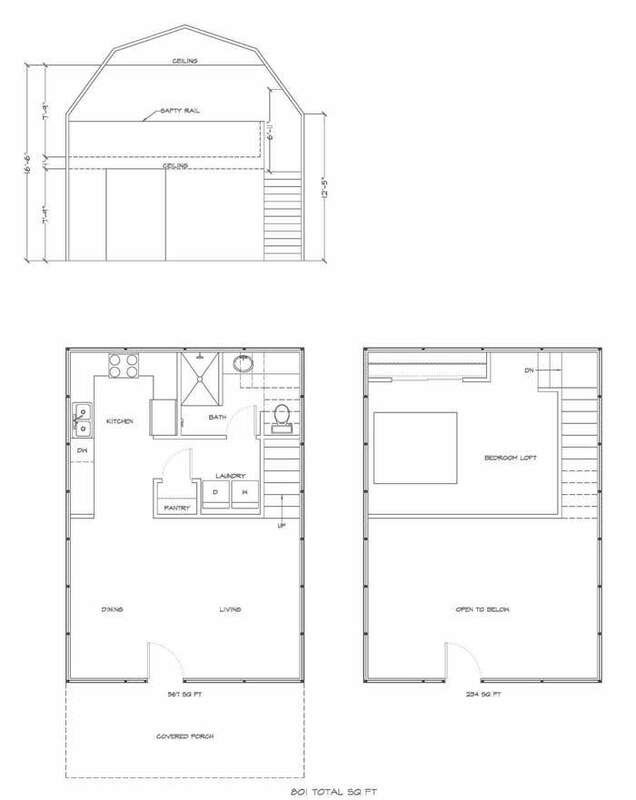 Pick the Gambrel floor plan that suits you best. 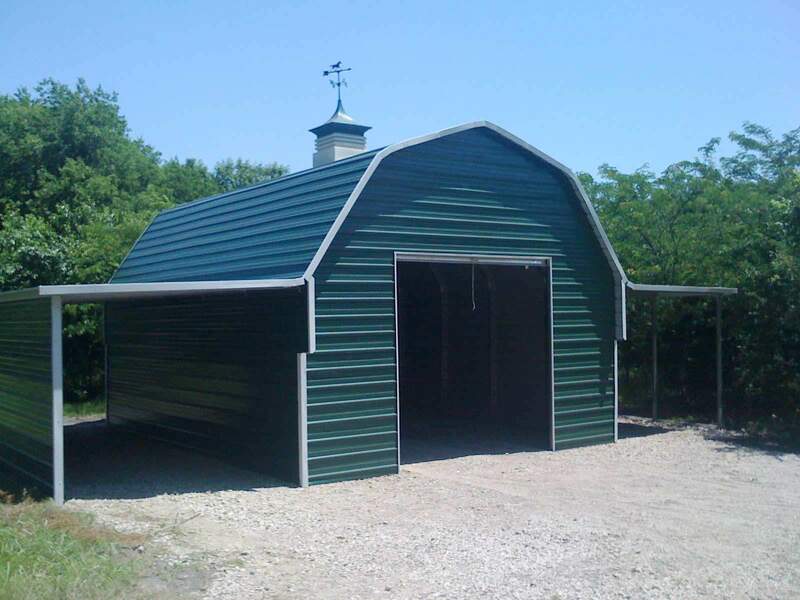 It’s certainly something to consider—constructing your own gambrel building from a kit. But is it practical? Can the ordinary person really do it? 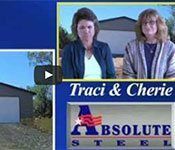 Since 1999, do-it-yourselfers have been using Absolute Steel to build their own buildings for all kinds of purposes, not just homes, guesthouses and cabins. 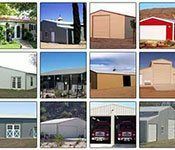 Our website has an abundance of testimonials from customers, some of which you’d never think could build their own steel building that has successfully done so. More importantly, we manufacture the kits that we sell. 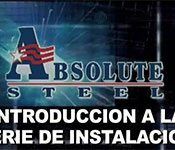 When you buy from Absolute Steel, you aren’t dealing with a middleman. You’re talking direct to the source manufacturer. 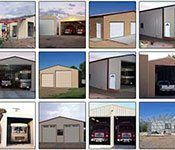 Each steel building kit includes the exterior frame system, complete exterior panels and the trim package, with a range of color options. 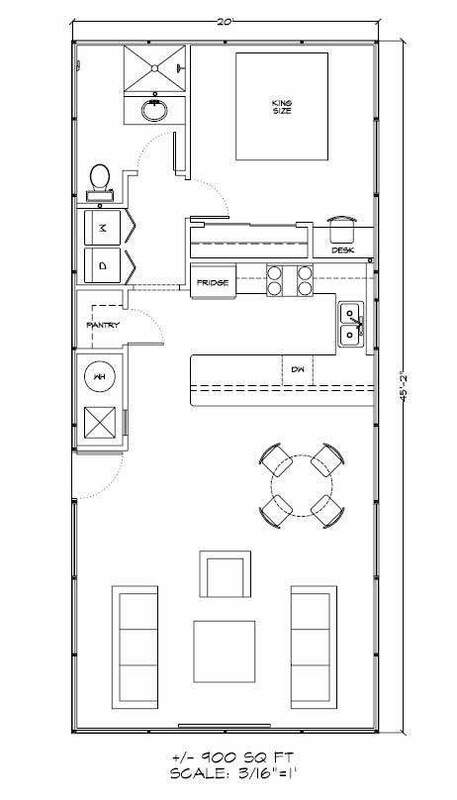 You can select a floor plan we have designed or use your own. 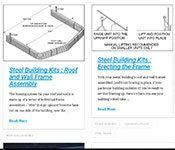 Most people who buy these kits want to do the work themselves and Absolute Steel makes that easy. 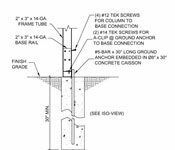 Each DIY kit uses slip joint connections that make assembly simple. It has a smooth, strong connection for sturdy, durable construction. 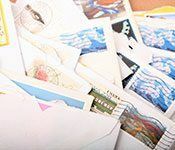 Each kit has complete step-by-step written instructions, complete with illustrations. 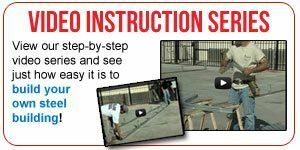 Additionally our YouTube channel has all the installation steps shown, each with its own video. The directions are easy to follow. 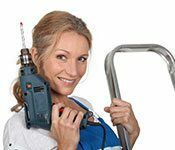 In fact, you probably already have on hand all the tools you need to do the job. 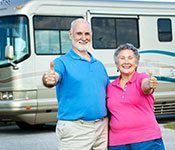 Many husband-and-wife teams assemble our kits successfully, without problems. 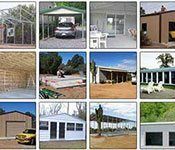 If you can use a basic set of tools, or are willing to learn, you can build one of our steel building kits. 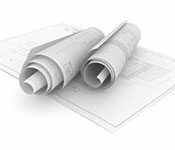 If you want a contractor to build the kit, he can do a quality job quickly with our materials and directions.